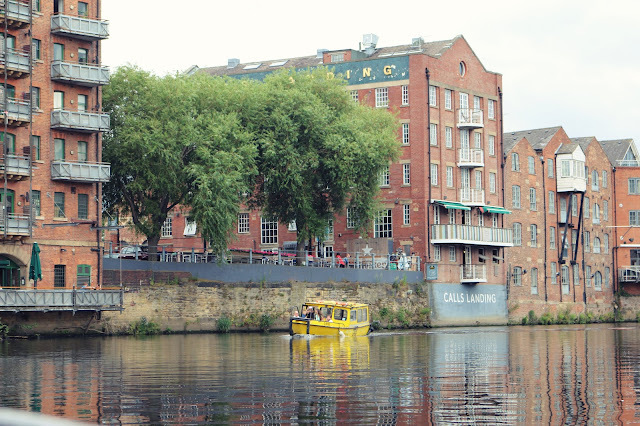 It's been a few months now since I moved into the lovely little Leeds hub that is Granary Wharf, so I thought I'd share with you my top 10 things to do in the area! Hope you enjoy. 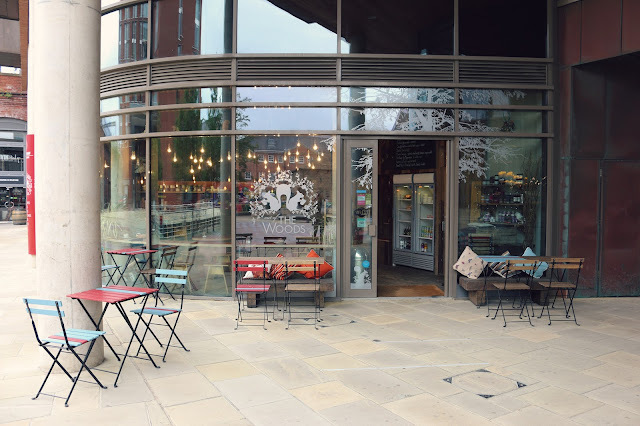 Located under one of the arches at Granary wharf is Bilbao Bar, serving a variety of spanish tapas and cocktails. My favourite dishes would have to be the veal in red wine sauce and the spicy chorizo cooked in cider. They also do a great 2 for £10 deal on cocktails from Monday to Friday 5pm-7pm which we have taken advantage of a fair bit since we moved in. Ever since I tried their white grape and passionfruit spritzer I've not ordered anything else, it's probably the most refreshing cocktail I've ever tasted - amazing on a warm day (or any day!). Despite the fact the water taxi literally stops below our flat window we've only recently started making the most of it and hitching rides down to Brewery Wharf. 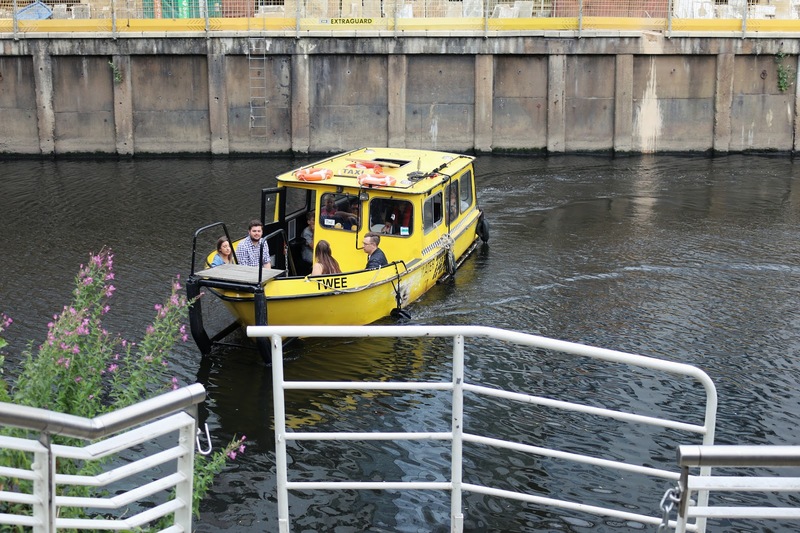 It's actually a lovely relaxing ride down the canal and it's just nice to see the city from a different view. These pizzas are so good that there's rarely a slice left over to take home when we visit. I've even been walking past on my lunch break before and ended up sacking off the healthy option waiting for me in the fridge at home to delve into one of these instead! 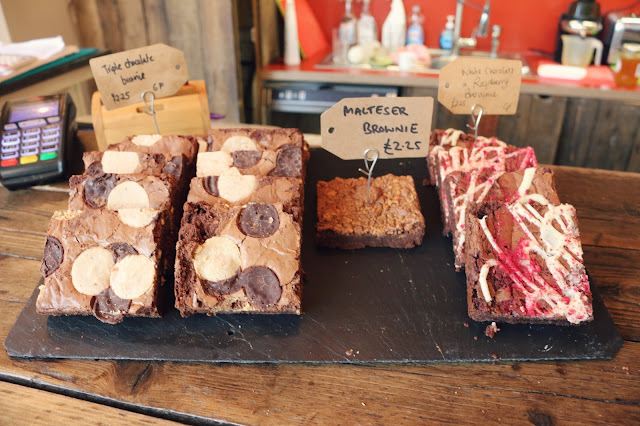 My favourites include the Tosca and the Señorita, see the tasty menu here. The Osset brewery owned bar is of course also a great place to have a drink in too as they have a decent selection of craft beers and wine (plus a small but tasty cocktail menu to try from) and there's generally always a good atmosphere in the place. 4. 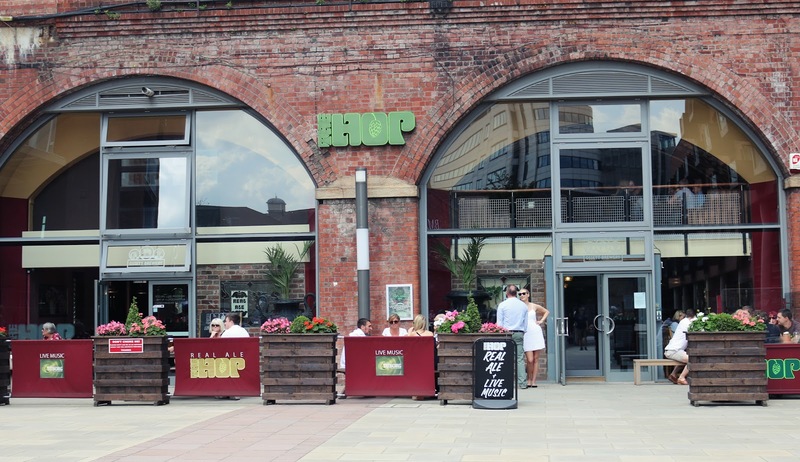 Get competitive at Tuesday night quiz at The Hop! 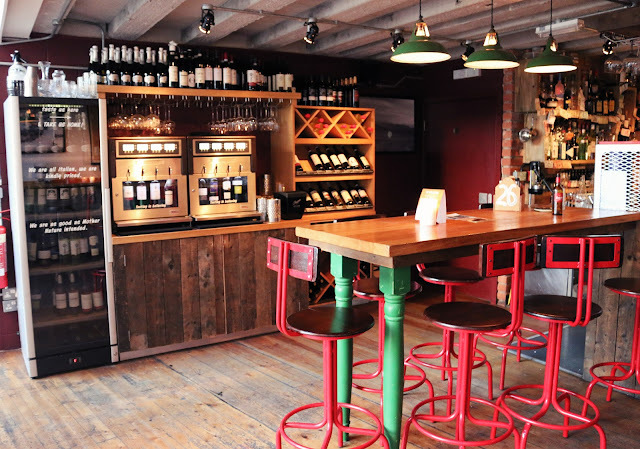 Next is another Osset brewery owned bar The Hop, which has the traditional pub vibe but in a modern setting, with plenty of seating outside for the warmer days. They do a pub quiz every Tuesday, open mic night on a Wednesday plus there's usually live music on a weekend, so plenty going on! 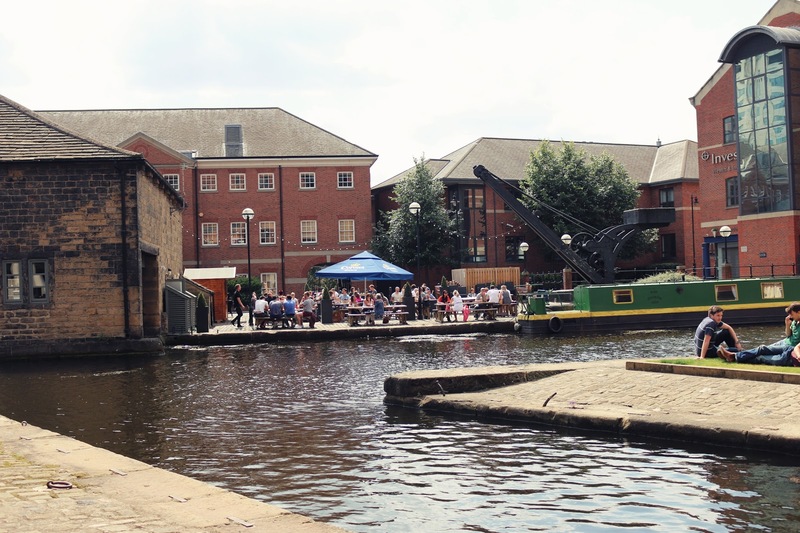 Interestingly Osset Brewery seem to be playing a real life monopoly game with Granary Wharf as they are also opening another bar right next door to The Hop - the "laid back contemporary" Archies bar which will serve traditional food and have live djs Friday and Saturday nights. I've already spotted a VW camper van inside which looks petty cool, so looking forward to seeing what the new place will be like - apparently it's due to open the end of August so not too long to wait. 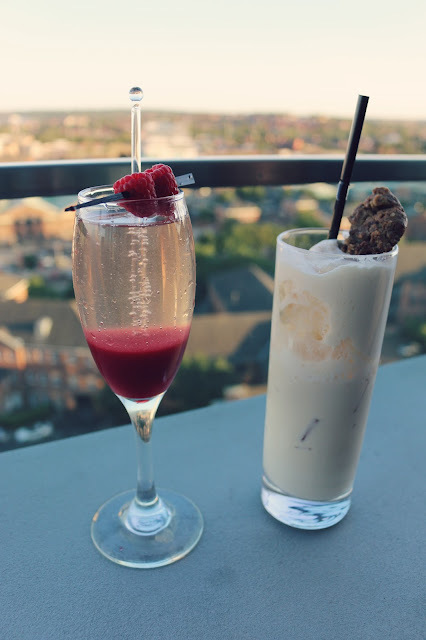 Situated right at the top of the Double Tree Hilton Hotel is the pretty swish Sky Lounge bar, offering rooftop views of the city and a very impressive cocktail range. Even on colder nights you can sit outside with a cocktail as there's plenty of heaters to keep warm (plus they offer blankets if your alcohol coat really isn't working!). If cocktails aren't your thing they also do a pretty good afternoon tea which I recently tried, priced at £15 per person for a selections of sandwiches, cakes and plenty of tea! Since moving to Granary Wharf I can't believe I never thought to stop here for a lazy weekend picnic before. 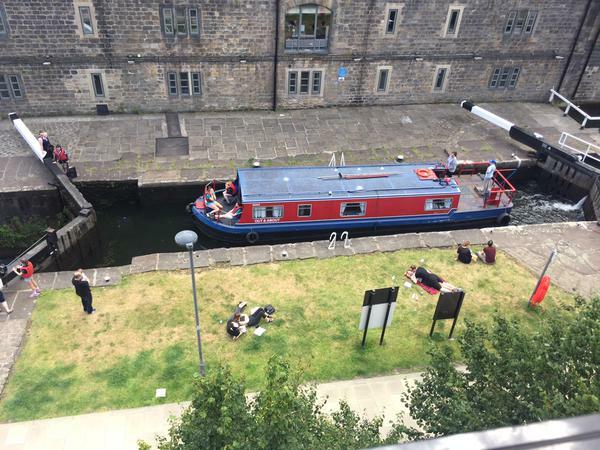 It's such a great sunspot to relax in and watch the boats go by, with plenty of atmosphere from the neighbouring bars (you can people watch till your hearts content! ), plus it seems to attract nice people - which is always important! 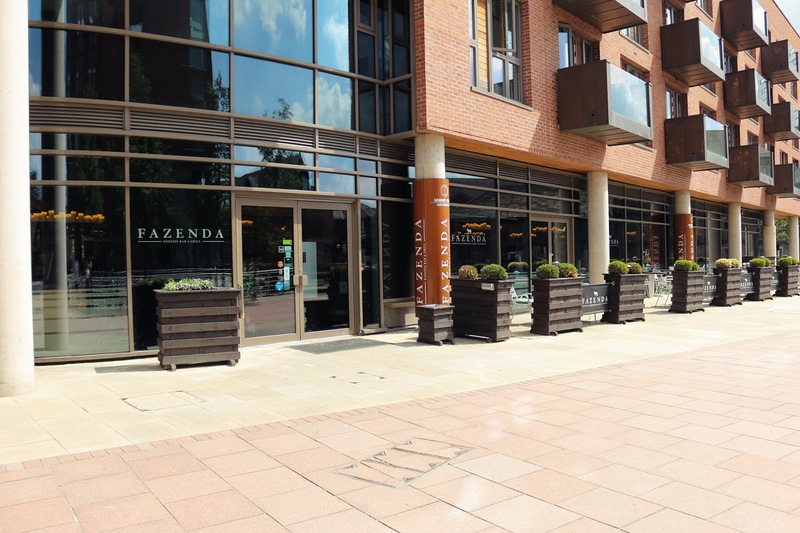 Fazenda is definitely a unique dining experience you need to try at least once. On arrival to your table you're given a card which has a red side and a green card, green meaning "keep feeding me" and red meaning "no more!". You can then turn these round throughout the meal to give yourself a break during eating. You're given the option to try 15 different cuts of meats which are brought round on skewers by waiters, plus there's a large salad bar offering pastas, salads and other sides to add to your plate. Meat wise the boyfriend loves the chicken hearts... but I've never been able to try one myself! I'm pretty content with the selection of steaks, lamb and other meats that don't turn my stomach queazy. If you do visit, make sure you save all the stomach space you can on the day, and expect some meat sweats afterwards! The Pour House seems to be a massive sun trap even into the evening, so it's a great place to get a drink whilst taking advantage of their huge beer garden over looking the canal. 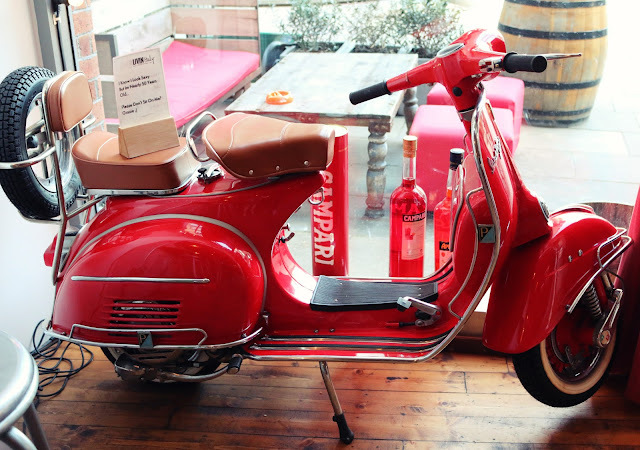 If you're a gin lover you'll love this place as they have 18 different ones to choose from! And if you're a fan of a good pub quiz they also do weekly Monday night quizzes with a £1 entry fee and a £20 drinks voucher for the winner. 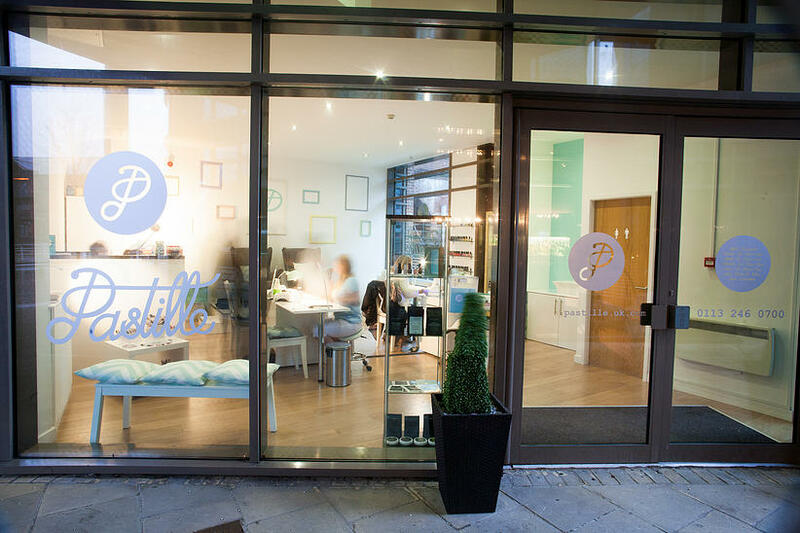 It's a really nice salon and the girls are always super friendly, so it's definitely worth checking them out if you fancy getting pampered soon - just make sure you book in a few weeks advance as they're really popular! They say to save the best till last so I had to finish with my absolute favourite place to be in Granary Wharf (apart from my bed! 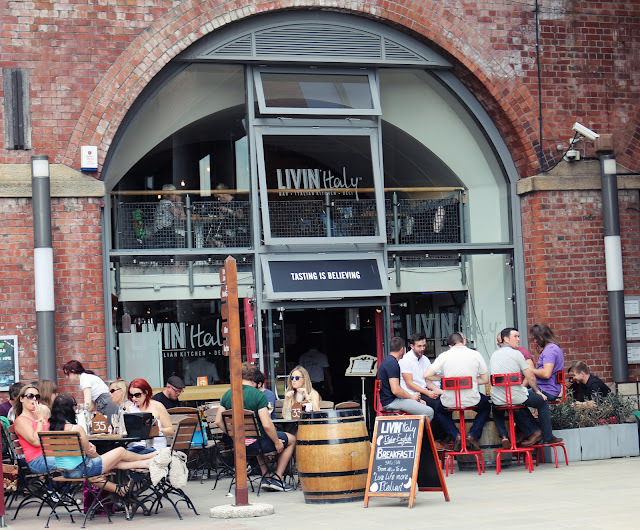 ), the lovely Livin Italy. From the truly amazing italian food and extensive cocktail menu, to the beautiful romantic setting - it really is a lovely place to be. 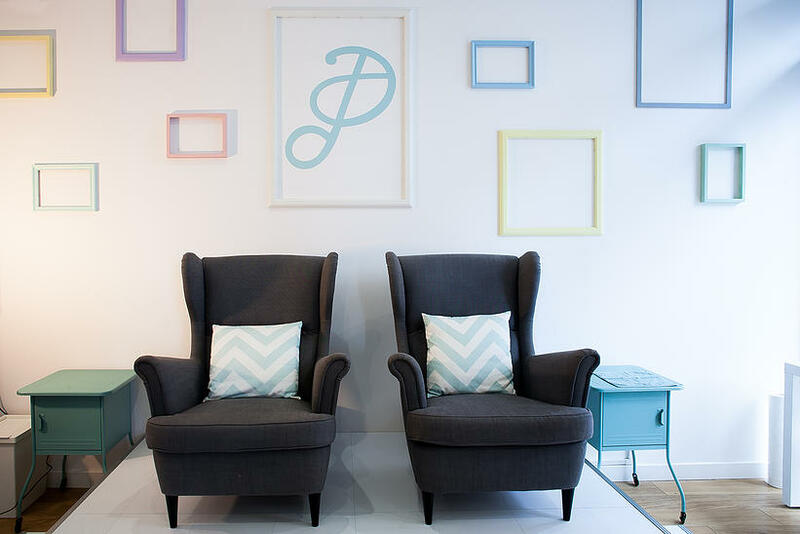 A favourite time to visit for us is a Sunday afternoon as they usually host live music sessions. It's the perfect place to forget about the looming Monday morning, making the most of every last minute of your weekend with relaxing sounds and authentic italian food. Our preferred cocktails include the Delicious Hurricane and The Greedy, and food wise the pork belly and pizzas are definitely worth a try. They also make amazing breakfasts, with the boyfriend always opting for the full Italo-English and myself choosing the eggs Benedict's (since it's the best i've had in Leeds!). You can check out their mouth watering menu here. 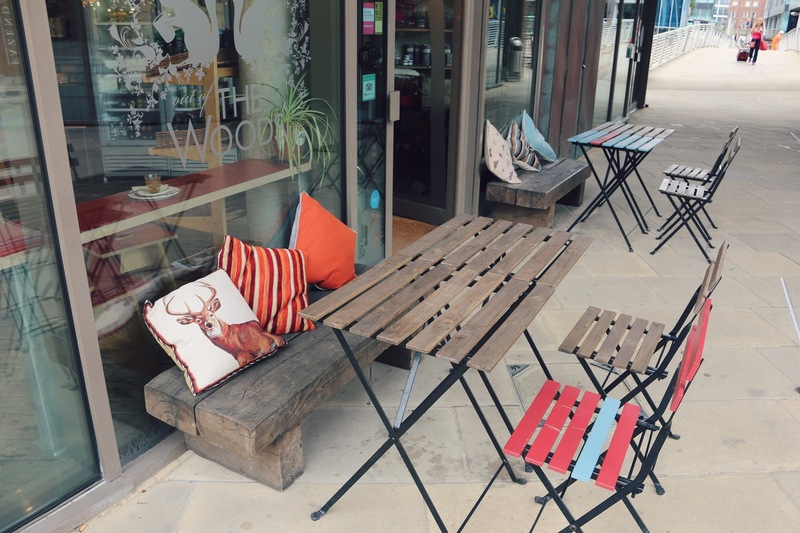 Somehow, I managed to completely miss out one of my favourite spots for coffee in Leeds, the fantastic Out Of The Woods! Not only does their coffee hit the spot but their chocolate brownies are not to be missed either (I recommend the hazelnut or triple choc!). 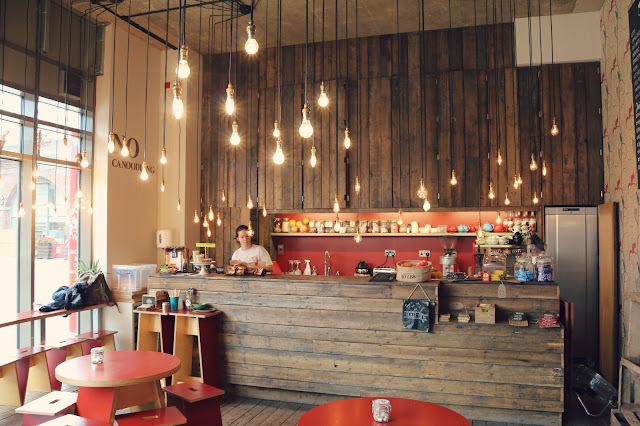 They actually have two premises, one here in Granary Wharf and another on Water Lane which is where I usually grab my morning work coffee from. Me and the BF love getting a bacon sandwich from the Granary Wharf shop after a heavy night, crispy bacon on a soft roll - just what's needed! They also do a great selection of sandwiches, salads and soups - the perfect spot for some lunch. And that's all I have to say about Granary Wharf! What are your thoughts on the area? Have you visited many of the places mentioned? Always love to hear your opinions! Lovely post Gabby! 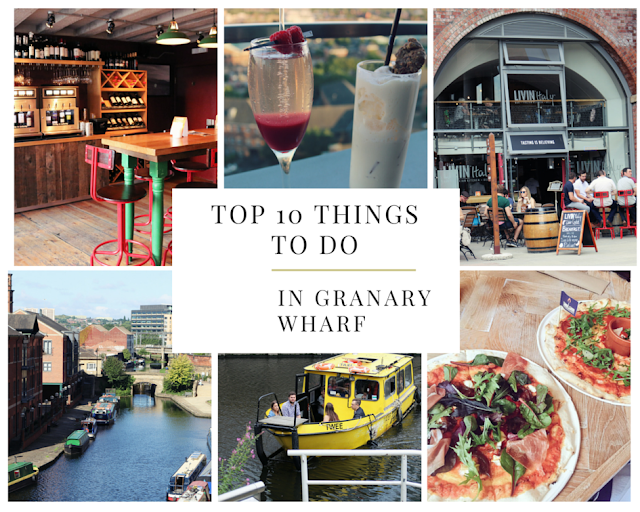 I never really go to Granary Wharf but may need to after reading this! Love your nail colours and those drinks look delicious! These all sound like such great things to do! This looks like such a cool place to visit! I am totally craving that wood-fired pizza right now haha. Such a good post Gabby! I really need to give some of these places a go :) ps. Those pizza photos have made me so hungry! !